I read this article and found it very interesting, thought it might be something for you. 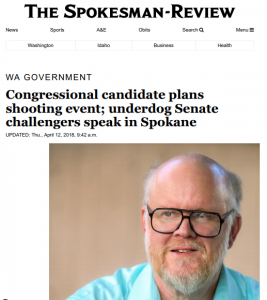 The article is called News nuggets from the campaign trail, Spokane edition and is located at https://votesocialism.com/news-nuggets-from-the-campaign-trail-spokane-edition/. The campaign team’s very first day in Spokane, the local bargaining unit of Washington Federation of State Employees, Local 1221, endorsed Steve’s candidacy! 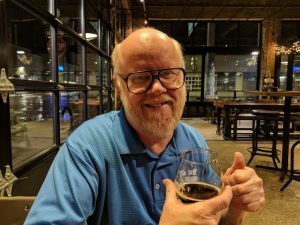 After Steve spoke at their union meeting, one of the members who had a long history working with Hoffman on statewide union issues gave a stirring testimonial to his honesty and respect for people. Local 1221 endorsed with voices loud and clear. Here’s Steve enjoying a brew after the meeting. Day two in Spokane included an interview with the daily paper Spokesman-Review. It was published online and in print on Thursday! The article covers Steve as well as other “underdog” candidates. Steve says, “We see the need for socialism to replace capitalism, because socialism will be based on meeting people’s needs instead of making profit for the few. We also see an important role for the leadership of women in the struggle because of their position of being so long discriminated against.” It’s available online here. The Spokesman-Review also quoted Steve on Joey Gibson’s cancellation of a Spokane appearance. Upcoming: Wednesday, April 18 will be the first weekly Volunteer Night at campaign headquarters! (New Freeway Hall, 5018 Rainier Ave. S., Seattle) From 6 to 8 p.m. volunteers will campaign outside and inside, collecting petition signatures, handing out leaflets, making buttons and helping out in the office. Will we see you there? Give us a call at 206-722-2453.